2015 brings with it a plethora of car launches that are full of fresh facelifts to some of the most revered fleet and executive models there has ever been. Here we take a closer look at just what this year may present in terms of your choices when searching for the next new addition to your fleet. If you’d like to find out more about car fleet insurance then click the link. The Ford Mondeo has long since served as a fleet favourite and whilst it temporarily fell out of favour in the latter 2000’s today this model is slicker and more luxurious than ever before. The 2015 model is the fourth generation and features a touch that seems more associated with sleek luxury cars; options will include engine sizes that range from 1.6 litres up to 2.0 litres, throughout which superior CO2 emission standards are maintained (the 1.6 litre engine offers just a 119g/km emission rate). The Kia Venga makes for a solid choice for the fleet that balances budget with style. This particular 2015 model will boast a revised style both on the exterior as well as the interior and will feature a 7.0 inch dashboard display as well as a rear view camera. One particular improvement that on the road reps may well welcome will be the faster processing speeds and optimal route calculations (two features that had sometimes been noted in reviews of the previous model). Kia are making waves within the cross over industry and the Sorrento of 2015 will be longer, lower and wider than ever before. This model will feature in only a 2.2 litre diesel engine and will feature the same plethora of solid safety features (including adaptive cruise control, lane departure warning, blind-spot alert, rear-cross traffic alert and road side recognition). It’s then safe to say that for the safety conscious fleet manager there are few cars that will even come close to this feature rich model. It’s reliable too so you shouldn’t need any new parts for the car even out of warranty. A favourite with reps the Ford Focus is back with a subtle facelift and will feature in both a hatch and estate model. For those who are accustomed to the Kuga and EcoSport models they’ll already be familiar with the sleeker, more refined look that Ford are seemingly aiming for across their models. In addition to the standard set of engine sizes this year will mark the first appearance of a 1.5 litre petrol version, as well as a turbo diesel engine, and will replace the outmoded 1.6 litre engine models. The Jaguar XE of 2015 looks set to seriously lay down the gauntlet against its BMW competition: the 3 series. This year will see the introduction of a new 2.0 litre diesel engine that achieves a pretty impressive emissions rate below 99g/km. For the fleet manager looking for a cab based van there can be few as solid a choice than the new Mercedes Benz V Class. Able to seat up to 8 people this model will feature as a V220 CDI (163 PS) and a V 250 CDI. Further specifications are yet to be confirmed however (as are the associated price tags). The Q7 of 2015 will feature a considerably lighter chassis than its predecessors and will weigh in at a staggering third less of a tone. Despite this reduction however this is a model that seems to have gained in personality, featuring more detailing on the exterior than has been seen within previous models. New models this year will be the diesel model that offers emissions of 153g/km and a hybrid E-Tron model which will appear later on in 2015 offering emissions at an industry leading 50g/km. 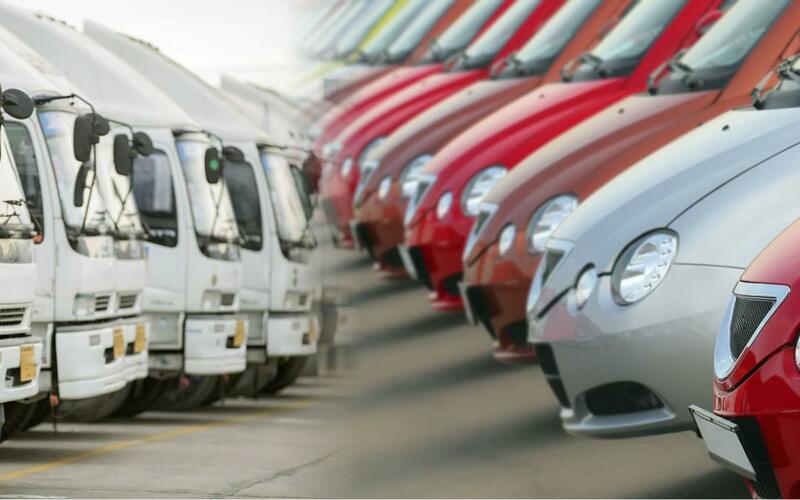 If you are a fleet manager and are looking for cover then click here to get fleet insurance quotes now.